As an early childhood teacher of 38 years, Sharron Krull has received extensive experience as a consultant, keynote speaker, workshop leader, seminar facilitator, and parent educator. She provides school districts, preschools, family childcare providers, Head Start programs, college classes, and resource and referral networks with the tools and current educational research to meet their training and continuing education goals. 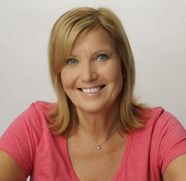 With her down-to-earth approach and hands-on teaching methods, Sharron will inspire and motivate teachers and parents with her fun-filled energetic presentations. Any of the following workshops can be adapted to meet the needs of your particular group or organization. To schedule a workshop with Sharron or to receive more information please contact her at (925) 980-8353 or sharron@sharronkrull.com. NEW GET YOUR MOTOR RUNNING! UPDATED NO CHILD LEFT INSIDE! UPDATED UP, UP & AWAY! FIGHT CRIME - INVEST IN KIDS!